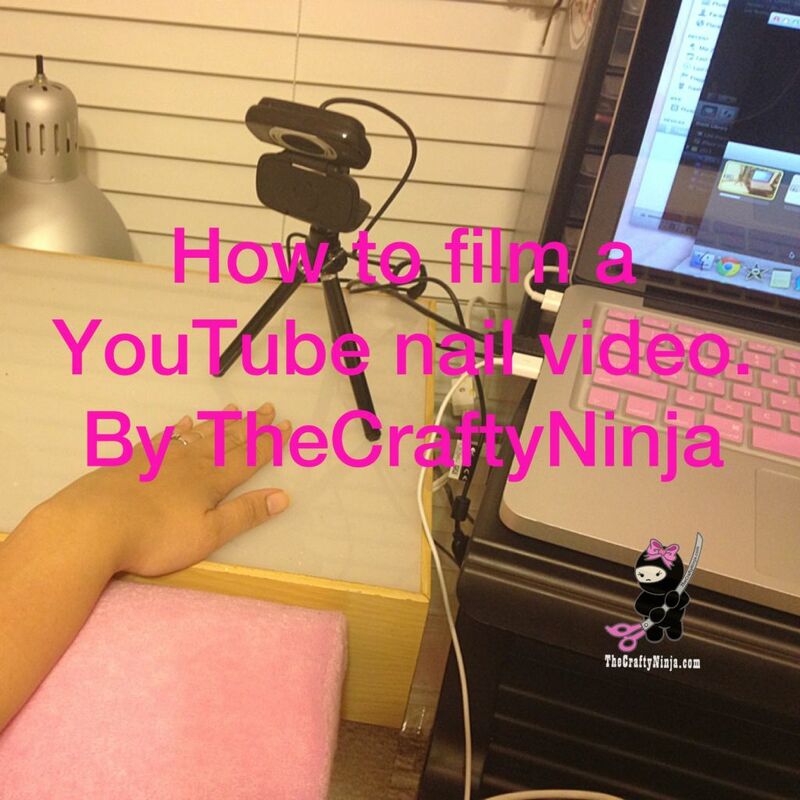 Hey guys today I will be sharing some tips, tricks on angles, supplies, electronics, and software I used to film my YouTube nail tutorial videos. I tired to find out more information when I got started there was nothing available for nail videos. So check out my YouTube video and hopefully you’ll get inspired to start filming your own videos! MacBook Pro Laptop I use my MacBook for everything, from watching as I film, editing in iMovie to exporting my film to YouTube. KB Covers keyboard cover to protect my keyboard from dirt, food, and dog hair. It takes a bit of getting used to but totally worth because its a quick clean up. KB Covers comes in a variety of colors so if pink is not your color then theres plenty to choose from. There are cheaper covers but I like quality in my products and not the cheapest thing out there. Notebook stand I use for the height when I film myself in iMovie. I’ve tired to film on a table and it doesn’t get the perfect angel. I don’t like to use my Logitec HD Webcam C615 when filming because it doesn’t hide all my flaws (LOL), the iMovie film give me a nice glow. WD External Hard Drive is a must! The hard drive in my MacBook crashed and when I took it to the Apple Store they said all my files (films, pictures, and documents) were lost. Lucky my friend was able to restore my files but I had to get a new hard drive, Samsung Solid Slate Drive, and more ram, PNY 8GB Ram. My computer works so fast and like brand new! Now after every film or photo I upload it to my Hard Drive and I can delete the files off my computer for more storage space. Logitec HD Webcam C615 I researched for something that is reasonable priced, films in HD quality, and Mac compatible. Mini Tripod holds my Webcam in place when I’m filming. It’s small and compact so I can move it easily and quickly to capture different angles. Also comes with an iphone attachment but its not very sturdy for an iphone. Light Box I used for the height and also I like the white table top. It works great for filming. Pillow Cushion for nail art to rest my arm on for a comfortable postion. Plastic Storage Box to lift the pillow cushion to the right size of the light box. Table Lamp when filming at night to provide more light or if you don’t have window near by to provide better lighting.